These postcards don't fit into any specific category. 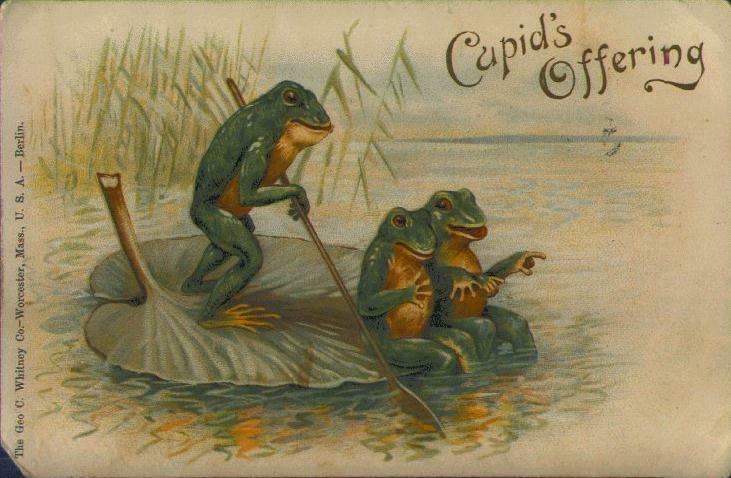 They are just a variety of postcards with frogs on them. I hope you enjoy them. "Cupid's Offering" This postcard was mailed to Davenport Iowa with no date. However, it has a one cent stamp, so it is fairly old. 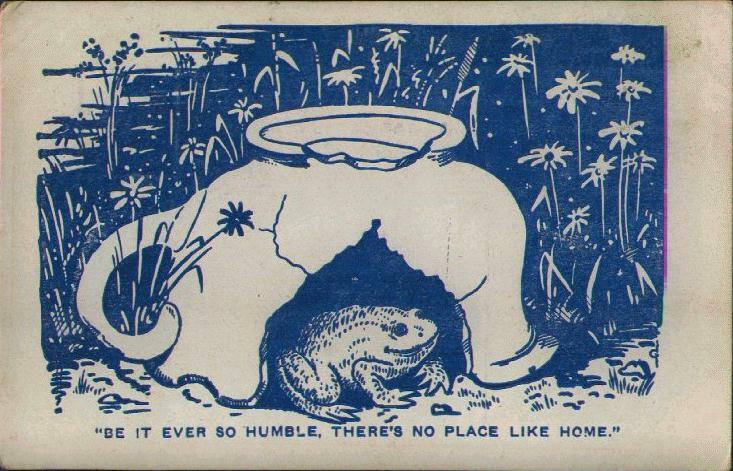 "Be it ever so humble, there's no place like home" This postcard was not mailed. 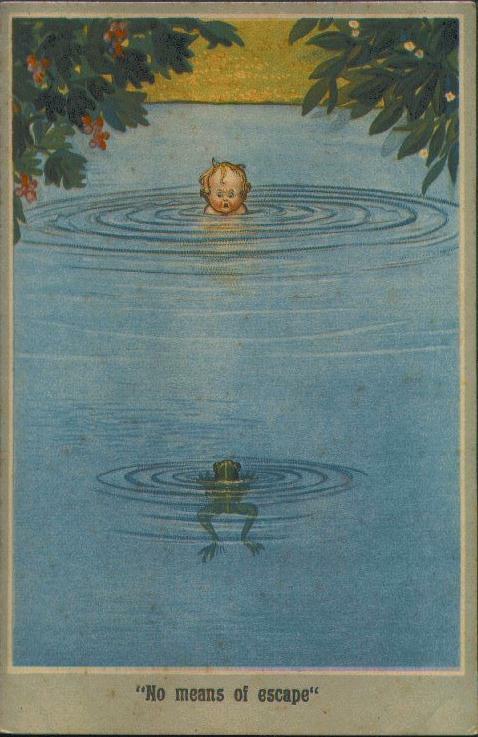 "The Frog:- Say! Here's another one ready. 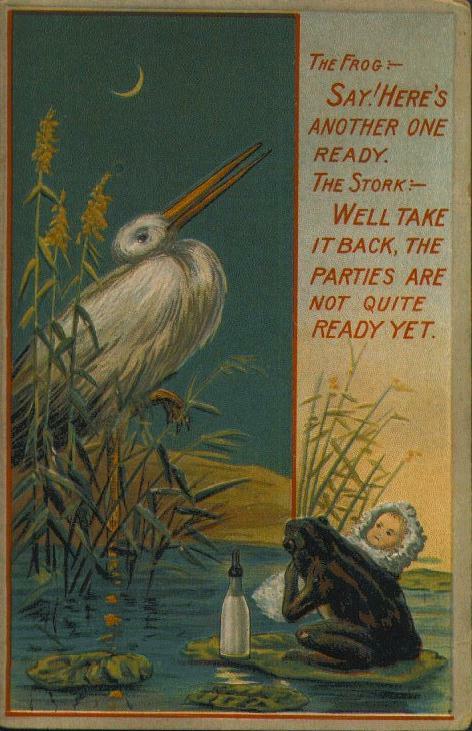 The stork:- Well take it back, the parties are not quite ready yet." This postcard was not mailed. "No means of escape" This postcard was not mailed. 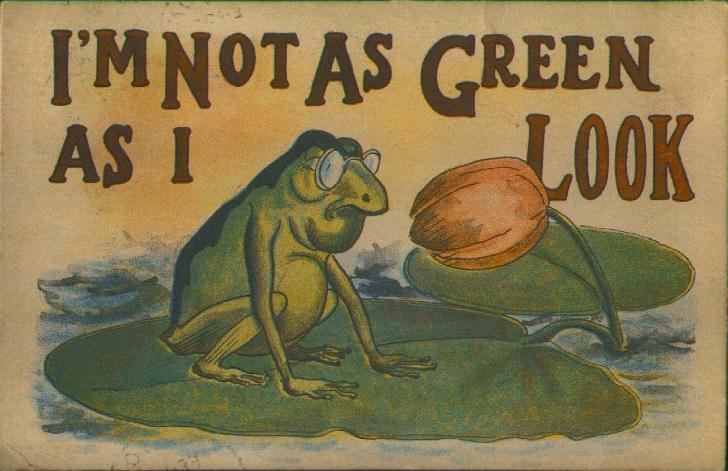 "I'm not as green as I look" This postcard was sent from Iowa February 22, 1915. 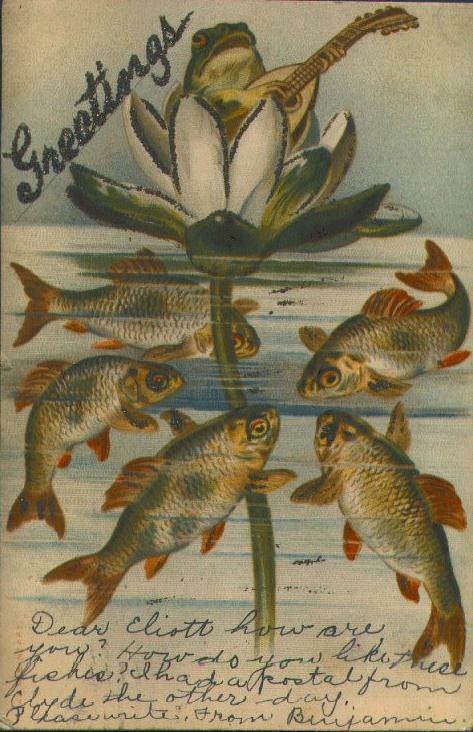 "Greetings" This postcard was sent from New Jersey October 12, 1906. Note that the message is written on the front of the card. The entire back was used for the address on the older cards. 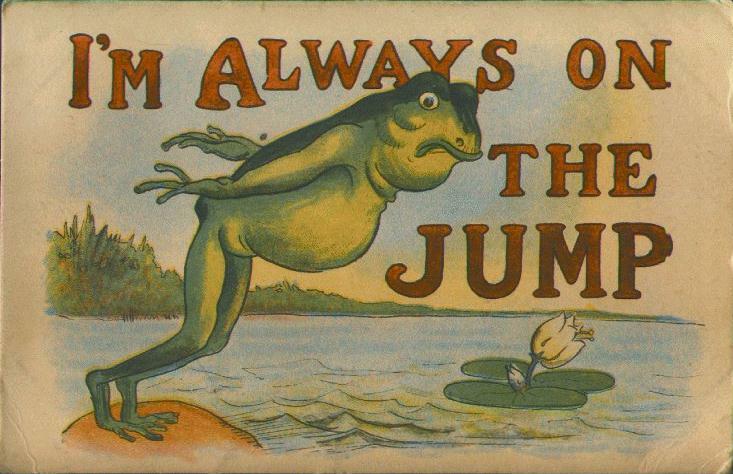 "I'm always on the jump" This was sent from California October 22, 1913. On this card, the back had half the card for the address, and half for the message like the postcards have today. Page last updated 01 Feb 2003.